Grid WordPress themes are useful when you have products or services that you want to put on full display for your visitors. The grid format gives you a layout that is organized, clean, and well-structured to promote clicks. Visitors are able to quickly assess the value of what you offer and are invited to explore more of what you have. 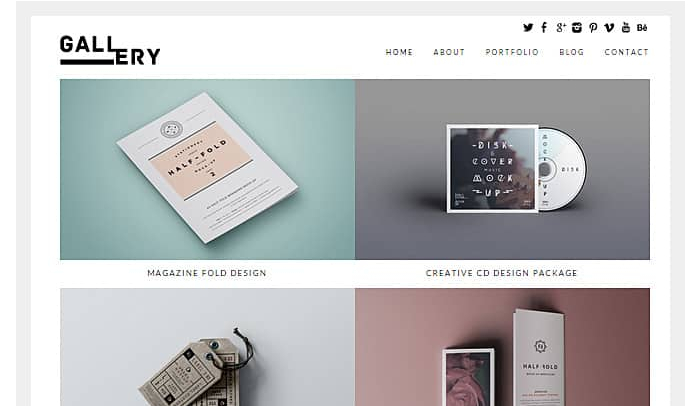 Here are some of the best free grid-based WordPress themes that you’ll find available right now. What makes this them so appealing is the inclusion of extra white space. 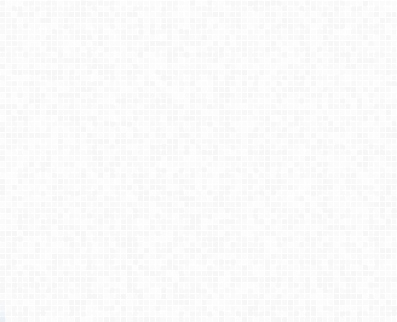 Each image is perfectly spaced to take the size of the screen into account. The formatting is adaptable as well, allowing you to create galleries, videos, or specific product lines that can be represented by a root menu click on the initial landing page. There are 18 different variations from which to choose, giving you the chance to create a page which looks fantastic. 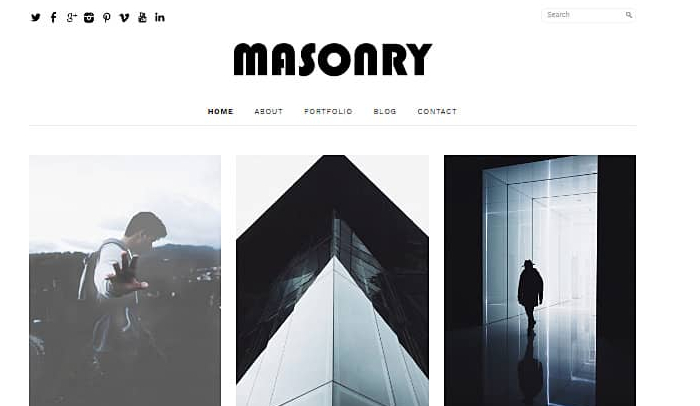 This free grid WordPress theme offers a modern look for your site while maintaining some of the traditional root menu structures that some visitors love. You have some room to include informative text, which can be helpful for some SEO campaigns. You’ll also benefit from the inclusion of the images that are placed centrally on the page to direct a visitor’s attention to your core items. Note: Although it is free, you must join the Elegant Themes community to download this theme. 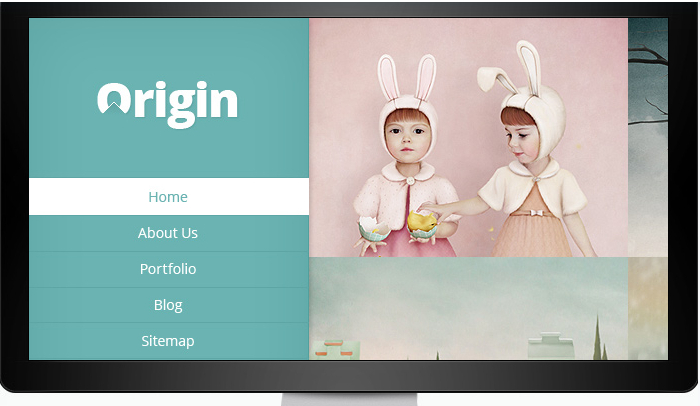 This design option provides many of the best features that you’ll find in premium themes. You’ve got a grid for images, with brief descriptions as the main part of your landing page. The images seem to “float,” creating a visual cue to look at them. On the left, you’ve got an interactive area for menu pages, categories, and common tags. It is designed for simplicity, giving you a responsive theme that will show off your best work on any device a visitor might use. 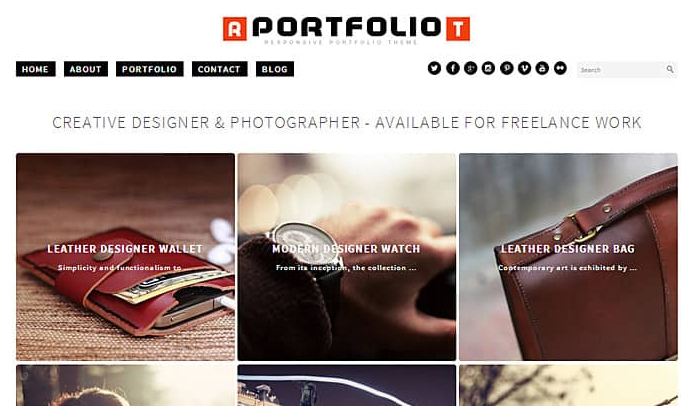 You’ll receive a 3-column grid with this theme which puts a strong focus on the quality of your images. Above the fold, you’ve got room for your logo, a handful of menu options, and a short description are to discuss you vision, mission, or goals. You’re permitted to add a background image to complete the look, or you can choose to take advantage of the extra white space the design provides. It is a solid option to consider if you like the look of a minimal theme. This theme is very similar to the Art Works theme. The grid blocks are square, as opposed to vertically rectangular, which makes it a solid option for photographers looking to feature their work. You have menu options above the fold, along with social sharing options, along with room for your logo. You don’t have any space for a descriptive statement, however, because the emphasis of this free theme is on the images you’ve created. This free grid WordPress theme is a good option to consider if you have multiple landing pages that you’re trying to organize from a central home screen. You have dropdown menu options, an integrated search box in a traditional location, and social sharing. Users can navigate through your grid, through traditional navigation, or through site-specific search, giving you plenty of option. 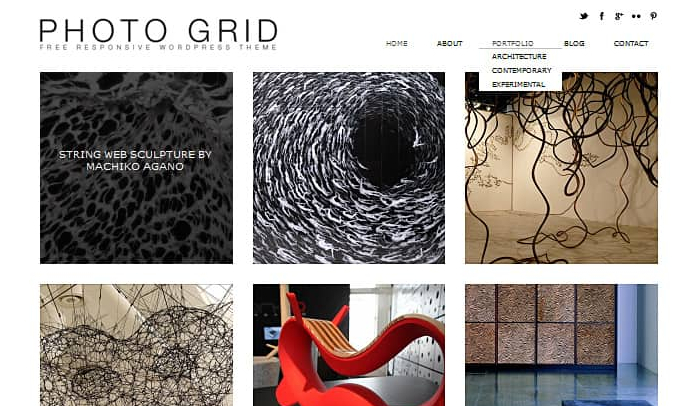 The grid is also patterned, creating a fresh, modern look. The responsiveness of this free theme is its best quality. The theme replicates the look you’ve built on every device. Even on smartphones, where space is limited, you receive the same block-style images. Text inclusion permits SEO optimization for marketing purposes. You’ve got plenty of room for a centered logo above the fold, along with social sharing, a search box, and menu options. 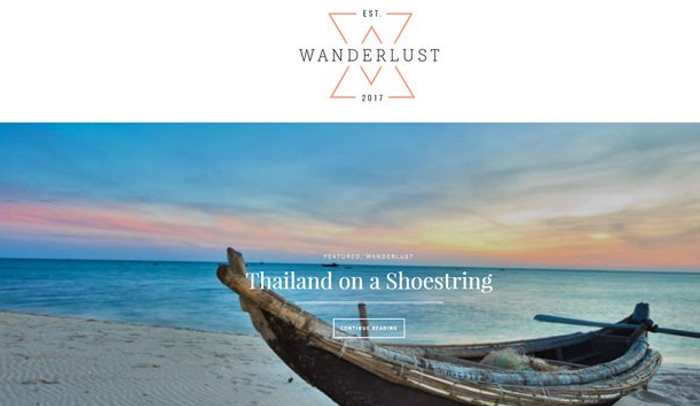 If you’re creating a travel blog, then give this free grid theme a closer look. You’ll find feature images are displayed with text overlays to create a wonderful first impression. As you scroll down, there’s room for your bio on the landing page, while the rest of the look feels more like a professional blog. You can structure the grid to be 1-3 columns, with varying levels of text, to meet the specific needs of your site. 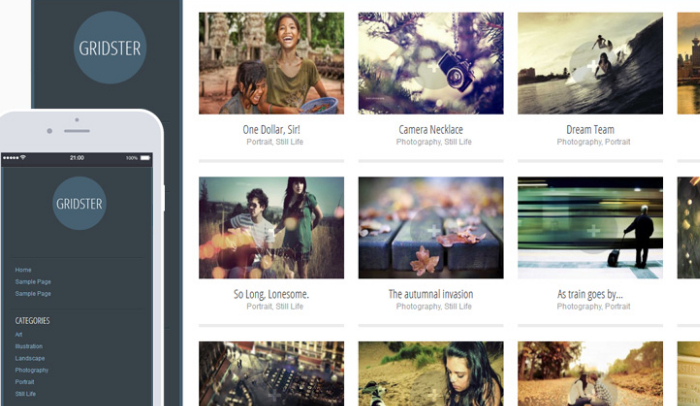 The best free grid WordPress themes will help you to organize your images. 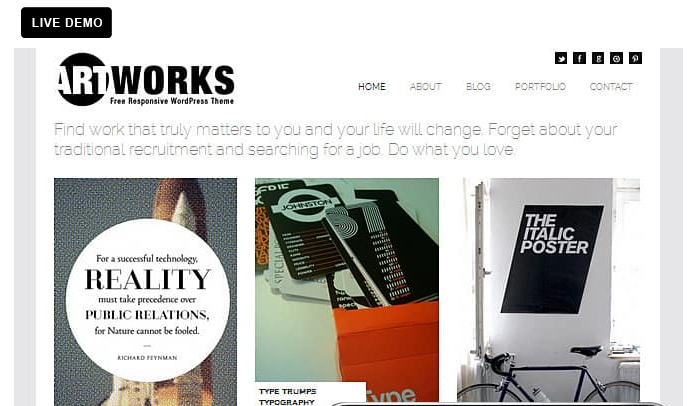 The designs will generate clicks through a clean, organized look with minimal work to install or update each theme. Why not choose one of these options to begin building your website today?